(May 7, 2008) Photo Gallery Location: Click HERE! Everybody knows the first one. The history of scientific zoo is derived from London Zoo. It was opened in 1828 as the research institution for animals. London Zoo was run by the Zoological Society of London (ZSL), which by granted by King George IV in 1829. At that time, it opened to the fellows only. One of the famous fellows was the scientist Charles Dawin who is author of The Origin of Species. He saw an orang-utan for the first time in London Zoo. 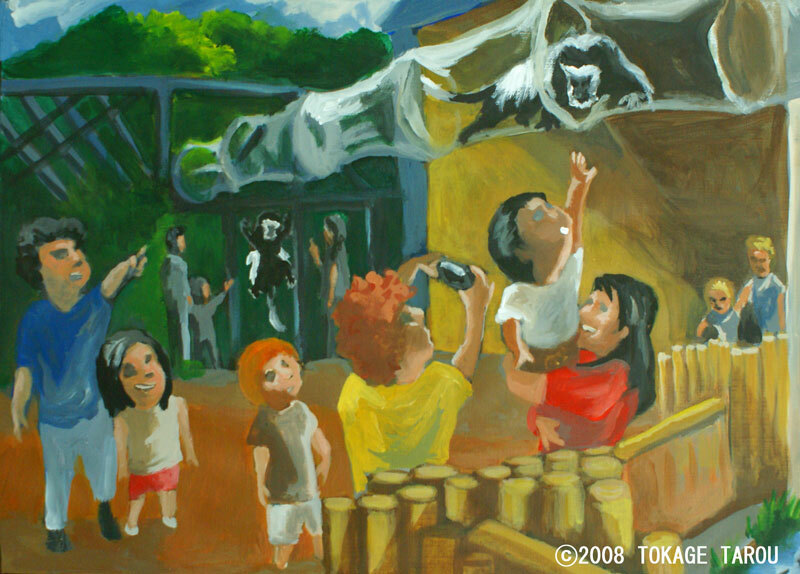 When he saw an orang-utan, he was very surprised that it was so much like human. The London Zoo was opened to public in 1847. The purpose of the London Zoo has diversified since then. The exhibit of London Zoo is not only displaying animals but also giving the opportunities to people to learn about animals. For instance, the zookeepers and volunteers are available to explain what the animals eat, how they behave and so on. The displays are also very unique and educational. At the B.U.G.S. (abbreviation of Biodiversity Underpinning Global Survival), you can learn how multiple organisms are related to each other and each creature has its own important role to sustain intricately balanced environment. For instance you hear the sound of stream and songs of birds at the place recreated the wetland. The display shows the function of the wetland for eco system and several creatures live in it. The maggots exhibition is also very curious. You find interesting habitat of which give us useful information for criminal investigation. Animals in London Zoo appear their wild side sometimes. 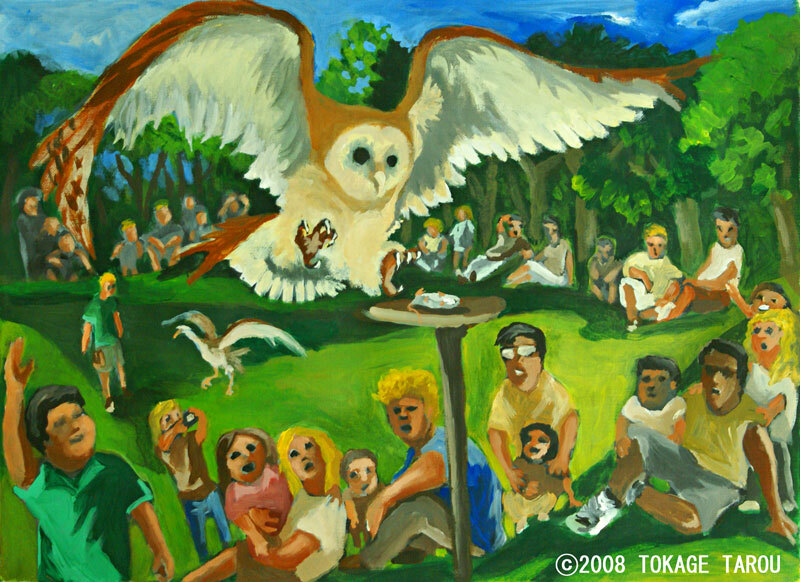 It is fun to watch that the Burn Owl flying over your head. There is no bars or fence between you and yellow monkeys playing. Sometimes butterflies poses on your shoulder in Butterfly Paradise. Let’s explore the Gorilla Kingdom. One of the must see exhibitions of London Zoo is Gorilla Kingdom. There is a huge green yard with many trees, streams flowing through it, and some exotic birds are flying around. After I sow the Superb Starings, I reached to the habitat of the Eastern Black-and-White Colobus. They move through the tube above you to go to outside. Four Western Lowland Gorillas, the silverback Bobby, 23-years-old, Zaire, 33-years-old female, Effie, 14-years-old female and Mjukuu, 9-years-old female. Mjukuu has come from Cheshington Zoo as a new member in April. According to the zookeeper, Bobby and Mjukuu frequently sit side by side. Seemingly they like to keep eye contact to each other and play together. When Jack visited the kingdom, I was surprised to watch Bobby eating his own excrement. Although this is utterly natural behaviour, it is still interesting to observe. At present, ZSL is managing seven conservation programs in UK and more than 30 counties overseas. One of the most important programs is bushmeat and forest. Bushmeat is the meat of wild life species hunted illegally by local people. It is sold at markets or consumed by poachers themselves. Bushmeat trade threaten the endanger species, especially great apes such as chimp, gorilla, bonobo in West Africa and Central Africa. ZSL is now conducting the research of bushmeat and conservation programs in Gabon to protect West Lowland Gorilla. As I contacted to London Zoo, Mr. David A. Field, Zoological Director of ZSL gave me a responce. First of all, to solve the bushmeat problems, ZSL try to establish the mechanism of bushmeat trade. Survey shows that poachers rarely hunt grate apes for bushmeat. Most of bushmeat are insects, small mammals and birds. 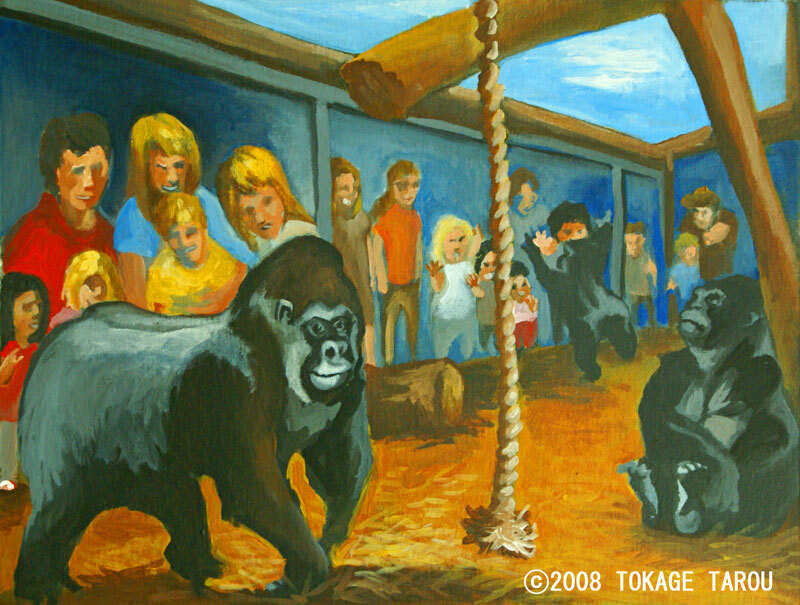 Despite of the result, the population of great apes is sharply declining because they reproduce so slowly and cannot maintain the social system. Addition to that, deforestation is in progress as the log companies extend roads deep into the rain forest. Since the timber industry and bushmeat hunting are important for local people to sustain their livelihood, alternative income source is urgently needed. ZSL is contributing to conserve the Western Lowland Gorilla at the Mikongo Conservation Centre (MCC) in Gabon. ZSL provides the technical supports to develop an ecotourism to the MCC. It is necessary to have the Western Lowland Gorilla accustomed to human presence by viewing, meanwhile undertaking field survey and research to establish ecotourism. Ecotourism will give the alternative value to the forest other than logging and hunting to support governments and local communities economically. Baby Dragon is a good climber. 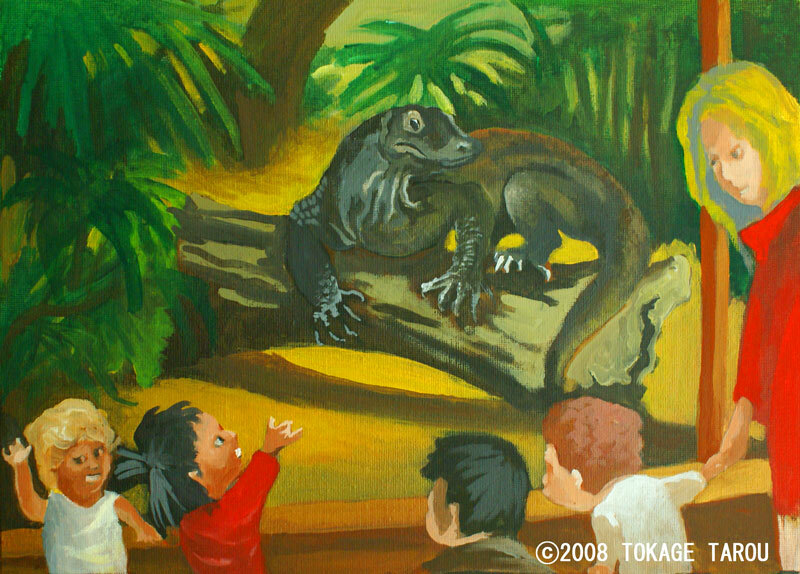 Sir David Attenborough opened the new pavilion of the Komodo Dragon in 2004. The male Komodo Dragon Rajah, which was born in 1998, lives at the centre of this pavilion. He is as smart as dog. If you call his name, he may come close to you. However, be careful! If you get bitten by him, you would die slowly with his venomous saliva. His daughter Sayang lives in the next room. She was born in 2006. After hatching, she quickly climbed trees nearby and live up there. The Komodo Dragon has cannibalistic behaviour, so baby komodo dragon lives on trees for the first several years to stay away from adults. 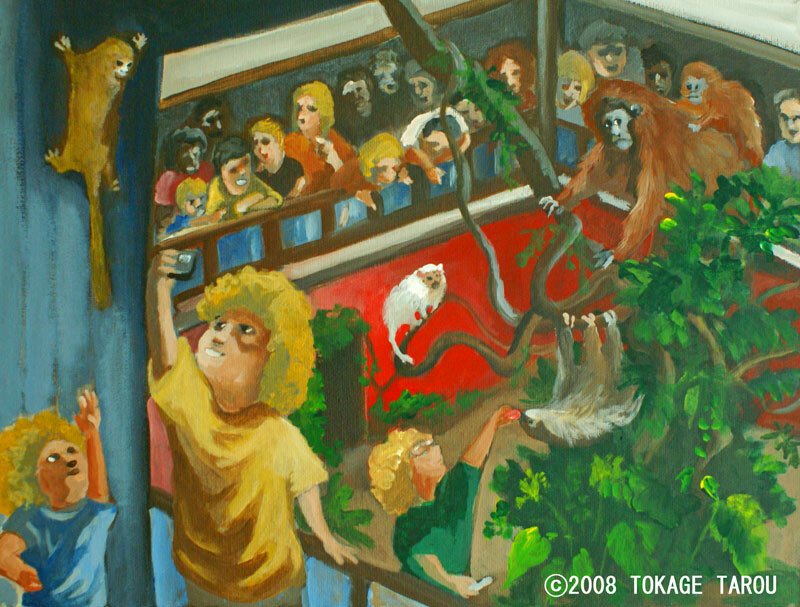 Clore Rainforest Lookout is one of the highlights in the zoo. The corridor is at height of canopy walk, so you feel as you are watching the jungle from above. 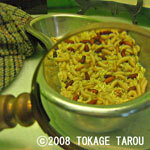 The dwellers are the Two-towed Sloth, the Golden Lion Tamarins, the Pygmy Marmosets, the Titi Monkeys and so on. Thanks to the zookeepers, each species has its own comfy place. So it does not need to fight its territory. This kind of display is very rare and unique. Sometimes you can see different species are playing together. 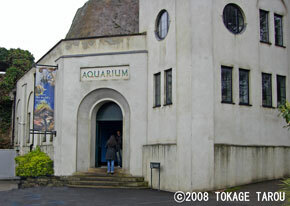 The history of aquarium started here. It opened in 1853. The word aquarium was also born then. 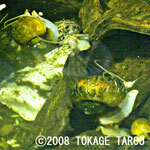 There are several breeding programs in the aquarium. One of breeding species is the Splitfins from Mexico. They are livebearers, which means eggs hatch in the body of mother, threatened to extinct very near future. 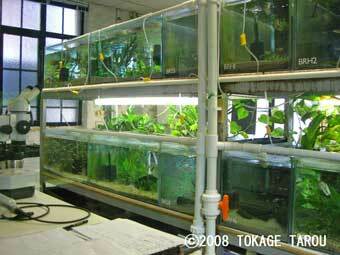 At the moment, the lab is studying weather new born fish in the aquarium can be released to the wild in Mexico. Canadian Lieutenant Harry Colebourn brought a little American Black Bear to London Zoo from Winnipeg in 1914. When A.A. Milne and his son Christopher Robin visited London Zoo, Milne was inspired by this bear. Then he wrote the famous story “Winnie the Pooh”. 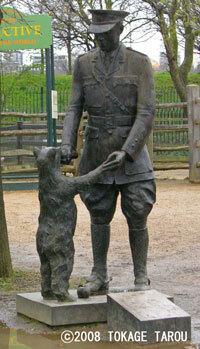 The statue is commemoration of Lieutenant and the little bear. 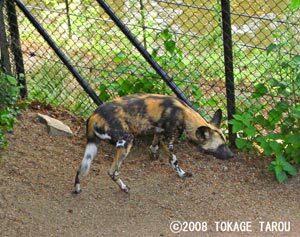 The African Wild Dog is critically endangered for suffering diseases such as rabies, distemper and diminishing habitat in Africa. I wander that there are not many zoos rare this magnificent dogs. African Wild dogs live in the canal faced corral. They occasionally chase after waterbuses passing by.